Just because a review says it’s good, doesn’t mean it’s good. A common mistake among beginners or even audiophiles when looking for guidance is to select components on the basis of a rave review without listening to the product themselves. There’s also a huge difference between reviews in high-end magazines and reviews in mainstream magazines for the mass market. High-end magazines cater to reader purchases, meaning a more transparent opinion. Whereas mainstream magazines are more advertiser driven. Of course, be wary of reading a review that only praises. Sometimes, it’s not about how much you spend on a system. A great choice of budget components can be more musically impactful than a system that’s four times the price. Consider this, a modest car, tuned with precision can beat a luxury car in a race. Likewise a well selected, modestly priced system can sound better than a shoddily put together system with premium products. A good Hi-Fi specialist will always be happy to help you with your choices. High-end brands with big budget marketing doesn’t always guarantee great sound. Follow your ears, and go for the equipment that gives you the best sound for your buck, rather than following well-known names. You’ll be quite surprised with the quality some lesser-known brands provide. Having said that, do consider a company’s reputation for build quality, customer service and product reliability. Remember, big brands may not mean big sound. Your local Hi-Fi retailer or specialist is far more than just a sales person moving boxes for profit. 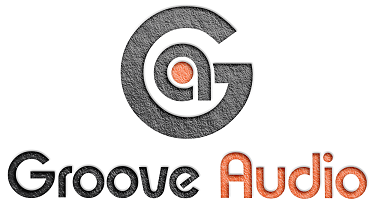 He or she is a dedicated music enthusiast who wants to provide the satisfaction of a great sounding product. A good specialist knows his products and can be your guide. One of your specialist’s services could also include setting up your system at home. A premium speaker positioned incorrectly in a room can sound worse than a modest speaker in the perfect place. A Hi-Fi specialist can guide you with specific procedures for each component in a playback chain. You can also personally tweak a system’s placement according to your needs. You’ll get better at this with time and experience. A great sound system, selected and positioned correctly is a work of patience and time, but thoroughly worth the results. Choosing a high-quality sound system can be daunting. But with the right direction from a specialist, you could own a system that could be life-changing. It’ll be like listening to your favourite music for the first time again. 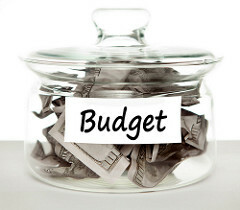 Coming up with a budget depends on just two things: priorities and what you want. Let’s look at your priorities. Some would consider a $5,000 dollar stereo system a luxury, while others wouldn’t mind spending $10,000 on a trip. Knowing how much you could spend on music is often the first building block for putting together your sound system. This also depends on how important music is to you. So how about what you want? Head over to your local dealership, and have them play systems of various quality. There, you’ll be able to generally decide on what you want for a start. 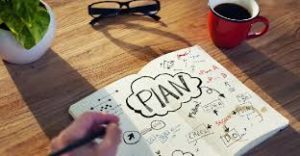 When you’ve decided on what you want, versus your priorities, you have a budget. For every audiophile, there’s a perfect system out there for you. A system must match a person’s musical taste, but also a person’s room and listening needs. Large rooms require larger drivers to push more air, filling the room with great sound. Whereas the same large speakers could overload a room with too much bass energy, causing a difficult listening experience. Knowing your room, and the type of speakers that best suits your room is critical. Amplifiers should then be chosen to match your speakers. Smaller rooms require less amplification power. However, check your loudspeakers, as low impedance means more amplification power. Sports cars are tuned for performance. In the same way, a system is made out of different parts starting from the source, to the speakers. This means your system is only as good as the weakest link in your chain. For instance, having bad cables, or a wrongly matched amplifier might cancel out an upgrade of an expensive component. However, this also means that a modest, but well selected system, could achieve an incredible sound. For help with this, check it out with your Hi-Fi specialist. Spare some thought for buying full sets. Manufacturers often build an entire system to be sold together as set. This often means quality sound is expected from the start, as the system has already been tuned to fit together. You could also pick out a system that’s made up of components within your budget. The wonderful part about that is upgradeability. You could swap out parts of your system when you decide. 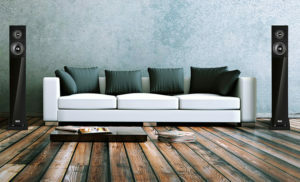 It’s a good idea to check in with your Hi-Fi specialist to work out a plan that best suits you. Many audiophiles have planned audio upgrades in the future. Think about the weakest link in your system and have your wish list ready. When it’s time, swap out that part for something brand new. The idea is to get the best improvement overall for your system by swapping it with something better. You’ll get better at this with more practise you get, and that’s part of the fun of being an audiophile. Your Hi-Fi specialist will be able to help identify the parts of your system that are ready for a swap. AIME is abbreviation for ‘Audio Image Musical Experience’ and is pronounced as ‘AIM’ with silent E. Designed by a Hi-Fi enthusiast and audiophile who is based in Kuala Lumpur. All AIME products are custom handmade and tested by audio technician. 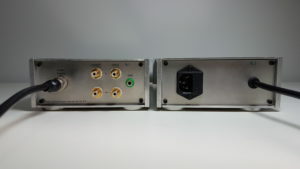 SE-P3 Multi Curve Phono Amplifier is produced in small numbers and sonically superior to mass industry products. 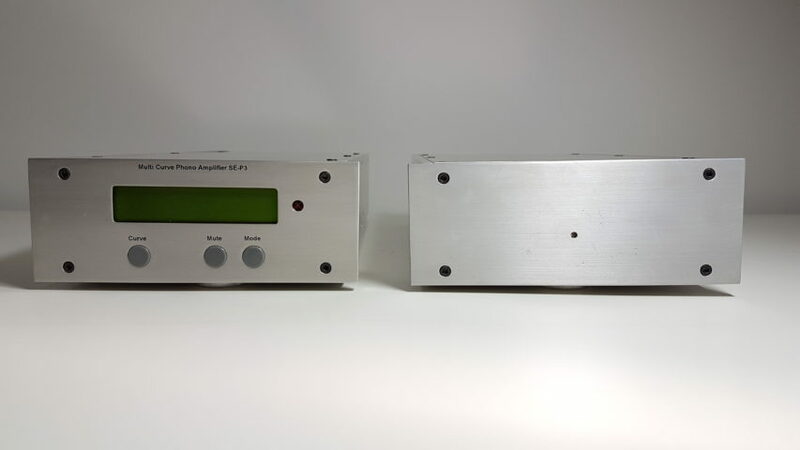 SE-P3 phono amplifier has 2 version. SE-P3 V1 has MC Stage. SE-P3 V2 has both MC and MM stage. To maintain very low noise, quality electronic components were hand picked to build SE-P3. The chassis is fitted with isolation feet to reduce vibration. The chassis is made from solid aluminium (up to 6mm thickness) to shield electronics from magnetic field interference. 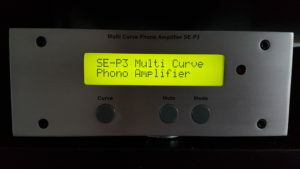 SE-P3 has user selectable gain settings. These settings are easy to select by user simply by placing in the right gain 2 pin jumper found on printed circuit board. Each SE-P3 comes with a dedicated power supply unit and a remote control. The Power supply is a heavy unit in a solid aluminium box fitted with a large low noise toroidal transformer. The SE-P3 has been designed and made to provide audio enthusiast the equalisation control and at the same time delivering sound clarity, wide sound stage and sound dynamics from playing your records. 3. Why Multi-Curve Phono Amplifier? Recording curve is one of many variables found when playing records . The other variables are rotational speed, groove, stylus size, record thickness, surface material, groove cutting direction and diamond profile etc. The recording curve for phonograph records was not standardized until 1958, and was not universally accepted until 1975. Before that, each company selected the curve that they thought would provide the best possible recording. Because of this disagreement between record companies, you must know how to equalize records made before 1958, and some re-issues and foreign records made after that. There are several phases in the history of recording phonograph records. Each phase has its own set of recording characteristics. Screen – Indicate the mode, curve, mute function you have selected. This screen is visible in the dark. Curve – Select the playback curve. See Curve selection. Mode – Select the mode for the playback curve. See Mode selections Mute- Mute line in. 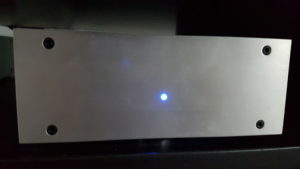 Led indicator – Blue Led indicates power is on for phono amplifier. Connect the supplied 8 Pin Din Cable from Power Supply unit to SE-P3. Hold the Din connector firmly as you insert the connector at the rear panel of SE-P3. You will find that the DIN connector has a guide pin. The small screw should face top. Turn locking ring until it is connected completely. Do not force or over tighten locking ring. The locking ring should be able to turn smoothly. The thread can be damaged if ring is inserted and turned at wrong angle.Use a quality power cord with IEC socket. Connect IEC socket to the power supply. Power remain off. If you have any question, please contact us at the number provided at the bottom of every page. Use 1 pair of quality phono interconnect cables with RCA plug (Grounded) on both ends. Connect RCA cable from turntable to INPUT of SE-P3. Ensure L is connected to L channel of turntable and R connected to R channel of turntable. Connect the ground wire (if any) from turntable to GND. You can use a banana plug to connect the ground wire. Use another pair of phono interconnect cables with RCA plug on both ends, connect OUTPUT of SE-P3 to your pre-amplifier (when using pre and power amplifier ) or to the input of integrated amplifier. Ensure L and R is connected correctly. Please contact us should you have any questions. For Low Output MC Cartridges, set gain between 60 – 66dB before powering up SE-P3. You can set the gain by placing the jumper on the desired gain inside the SE-P3 unit (see picture). Use fingers or a long nose plier to carefully remove the jumper and place it in position. REAR indicate where the rear panel of the SE-P3. Picture shows both jumper L+R gain is set at 66dB. Suggest to start from 60 dB and increase the gain step by step as you find the sound best suited to your system. Power must be off when change gain setting and loading. Ensure cables is connected and gain is set. Turn the SE-P3 on. You will see the blue LED light up and Screen display “SE-P3 Multi Curve Phono Amplifier” for 5 secs. Screen will then display the Curve and Mode. Press ‘Mute’ before turning on the integrated/ pre-power and playing records on turntable. You can press ‘Mute’ again to un-mute when your turntable and amplifier is running. You can then start playing your records. SE-P3 V1 loading is adjustable for MC only. For MM cartridges please use SE-P3 V2. Turn off power to your equipment when you change the loading. 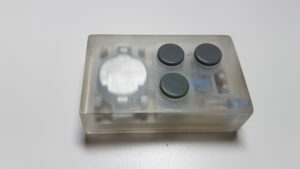 On the circuit board you shall find 2 blue dip and 2 red dip switches. On the dip switches you shall find the label ‘ON’. ON indicate the selected value setting is being activated. 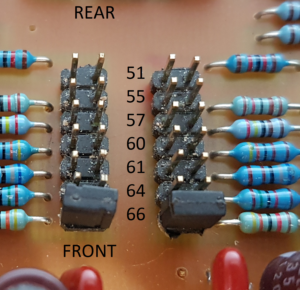 Each number on the dip represent capacitance and resistance. Picture on the left – Blue dip 1 and Red dip 5 is at ‘ON’ position. The rest of the dip is turned OFF. Remember that these values are added to the cable capacitance of your turntable for total cartridge loading. Check the cartridge specifications and adjust the setting accordingly. Most MM and high output MC cartridges use 47K Ohms. Low output MC’s use 100 Ohms. Note: with moving magnet cartridges, lowering the resistance below the recommended valued will roll offthe treble response. If you know the approximate age of the disc you are playing, you can simply “test” the curves in that era and settle on the one that sounds right to you. If you have a newer disc and can identify the curve as a standard one, then select it by name. If still in doubt, go through the selection chart and find the label and corresponding curve. The differences in some of the more modern curves are subtle, yet in an audiophile environment, these subtleties can make big differences. What we are trying to achieve in selecting a curve is spectral balance- a kind of unity between the bass, midrange, and treble. See selection chart (attached). This chart is updated from time to time when new record label is being released and being use with SE-P3 V1 and v2. Stereo, Mix Mono, Left, Right, Reverse. Specially selected transistors for low noise. Discrete Class A zero feedback output stage. 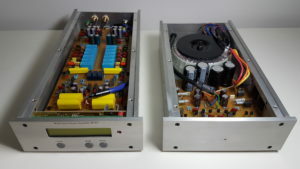 Each gain stage buffered by fast parallel voltage regulators. Resistors and capacitors (input loading) adjustable. 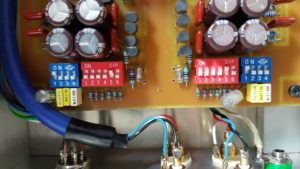 All electrolytic capacitors in the audio section are Low ESR and is specially selected for their sonic texture. Multiple gain structure selectable by the user. Specially selected low noise toroidal transformer. Specially snubbed capacitors for each diodes for each secondary coil. Pre-regulator circuits for the additional low noise effect. Shielded cable between power supply and audio section. SE-P3 comes with a remote controlled – picture. 240V AC mains voltage with fuse . Contact us if you need to use other AC Voltage input such as 110V.